BIKE Channel UK has launched today on Freesat, increasing its total UK reach to just over 17 million households. First launched last December on Sky, BIKE channel was added to Virgin Media in January and is now also available on Freesat channel 251. Previously, Freesat viewers who wanted to access the free-to-air channel had to manually add the channel on their satellite receivers. The channel is aimed at all cyclists and cycling fans and appeals to leisure riders, racers, mountain bikers, commuters and triathletes. 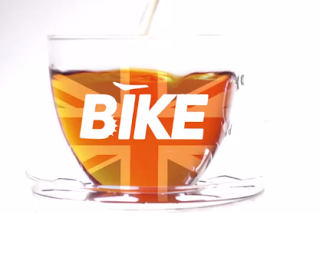 BIKE channel arrived in the UK late last year, following the successful launch of its Italian service in 2013. Although the channel is available in HD in Italy, it's standard definition only at the present time in the UK. In the coming months, viewers will be treated to world-class live and exclusive coverage of many of the season’s top professional races, including the Gent-Wevelgem, Tour de Romandie and Giro del Trentino. Cycling fans can also enjoy a wide range of documentaries, entertainment and original programming, including hotly-anticipated reality show The Coach, Great Rides of Britain, Mtb Adventures and City Guides from September. "We are delighted to expand our distribution to millions more viewers in the UK, and we are sure cycling fans will love exploring the wide range of content already available on BIKE. We will continually add to our offering, and fans can expect further exciting announcements in the very near future."